Addiction exists in the human brain. Specialized neurological pathways in the brain, called circuits, are designed for the experience of pleasure. These circuits tie together parts of the brain where the “feel good” neurotransmitter, dopamine, is produced and stored before it’s released. When dopamine enters the space between nerve endings called a synapse, it attaches to specialized receptors and triggers a response. And although this response is chemical in nature, the mind translates this experience into what lies at the root of pleasure — for everything from the delicious taste of food to the passion of new romance. It’s amazing! Dopamine feels same for everyone. There‘s not a dangerous kind of dopamine that causes addiction, because addiction isn’t caused. Addiction happens when someone at risk of developing addiction experiences dopamine in a manner that feels exceptionally good. A flood of dopamine produces a “high.” A high happens when the pleasure pathway neurons are able t0 release an overdose of dopamine. The surplus of dopamine can make someone feel so unforgettably fantastic that it triggers the desire for more. The brain then remembers how good it felt and can anticipate the next time. Take the example of a prescription painkiller. The dopamine that is released when some takes a pill helps stop the feeling of pain. It doesn’t heal what causes the pain; it enables the brain to create chemistry that feels comfortable while leg remains broken, for example. The big difference is this: the person who is predisposed or susceptible to addiction is going to feel even better than the average person when exposed to substances like hydrocodone, for example. Even before the pain returns and it’s time for another dose, the potential addict is already looking forward to the next pill and usually takes it sooner than needed. Why? Because the addict wants to keep that good feeling turned on. He or she now believes the primary purpose for taking the pill is feeling good, and getting high soon becomes far more important than being pain free. Compare that to the person who does not have the same vulnerability to addiction. Once the pain is gone, there is no further thought about taking another pill until the pain returns. There is no desire, temptation or craving because the brain is not creating a signal for more. So, biochemically speaking, it is not the addict’s fault that he or she craves more. The addicted brain is designed to function, or malfunction, in a way that makes it want more … and more … and more. Once the addict’s brain is activated by a narcotic, it can program sensitivity around its receptors that is experienced as a desire to get high again. This alteration of the brain can be responsible for drug cravings, and when this urge to get high is resisted, the addict can feel very anxious, irritable and agitated. Remember, the urge is nothing more than the way the neurons, neurotransmitters and receptors in the brain have responded to pain medicine. This all happens according to the laws of nature and is not something the addict is at fault for causing. It’s nobody’s fault. Once the addict is hooked, he or she becomes obsessed and wants to get high all the time. A compulsion follows, driving the addict to obtain the drug, usually at all costs and oftentimes to his or her own peril. Now press fast forward and see how this process in the brain affects the addict. The fun of getting high can’t last forever. Anyone who gets hooked is eventually going to face serious problems. Being hooked means wanting more and never getting enough. 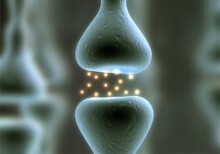 The brain has a way of adapting to the addict’s abuse of drugs or alcohol. Since too much keeps arriving, the brain has to change its receptors so it can survive the overdose. It’s called tolerance. The brain literally becomes able to handle more while actually diminishing the effect of the substance. Now, the addict who can no longer get high enough has a significant dilemma. Getting high may be priority number one for the addict, but the brain is busy protecting itself. The unrelenting addict requires a higher dose to feel the same effect. This takes more drugs, alcohol, money and time. This lifestyle very quickly becomes maddening and troublesome for the addict. Because getting high is the ultimate reward, the addict persists. Then everything in his or her life is at risk. Jobs are lost. Marriages break up. Money runs dry. Credit is ruined. Bills pile up. Children are neglected. Family members worry. The addict becomes depressed, anxious, irritable, agitated and unable to sleep. When the addict is at his or her lowest point, a miracle can happen. It’s called the miracle of desperation. That is when the addict is in enough pain to become willing to get help. When the addict is willing, his or her resistance drops and a solution seems possible. There are several different phases of treatment for addiction. The detox phase occurs first. The brain is waiting for more drugs or alcohol to show up and instead nothing does. It’s frightening for the addict because the neurons and receptors are literally waiting for a fix in order to send the signal that things are OK for now. This feeling is often described as taking the drug just to feel normal. Getting high doesn’t happen anymore because of the tolerance the brain has developed to protect itself. Depending on which drug the brain is hooked on will determine how bad it feels to go without it. Going without a substance after having abused it for some time is called withdrawal. Most of the time, withdrawal is extremely painful. Once again, all of the reactions to having the drug and not having the drug are happening in the brain, but the addict is going to feel it throughout the entire body. When the brain develops tolerance, it’s actually out of balance. When the drug abuse stops abruptly, the brain overreacts in the opposite direction. If the addict is hooked on painkillers, within a matter of hours, the brain can over stimulate the receptors that are responsible for sweating, anxiety, tremors, shaking, pain, nausea, vomiting, diarrhea, runny nose, watery eyes, muscles cramps, restlessness and insomnia. This is the brain’s attempt to get back into balance. Addicts call this “being dope sick,” and it is excruciating. At the point of desperation, some addicts are ready to quit the drugs while others seek out more of the drug to make withdrawal stop. It’s impossible to know which way the addict will go. All too often, addicts are only willing to enter a detox program to make the withdrawal stop. After detox, they may think they can continue to get high without reaching a danger point. All too often, detox is not the simple answer. However, when successful detox is followed by intensive therapy, the addict has better possibilities for a sober life.